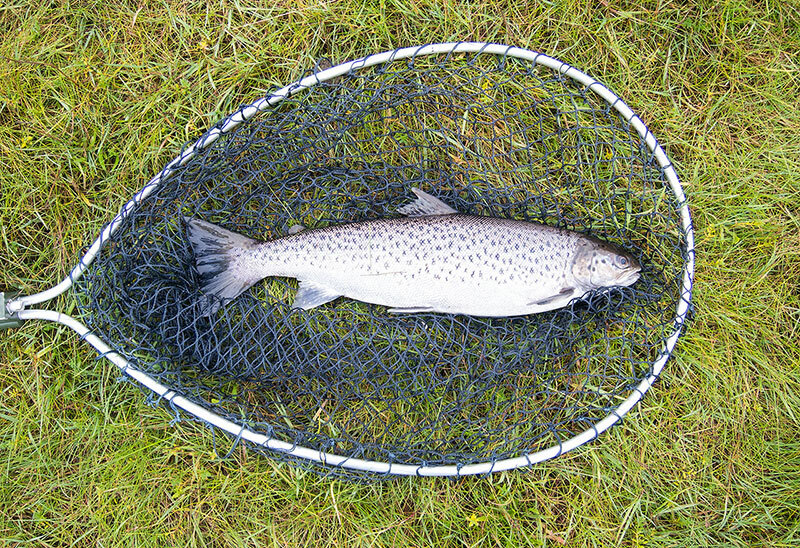 Click here for information on sea trout fishing on Lewis. 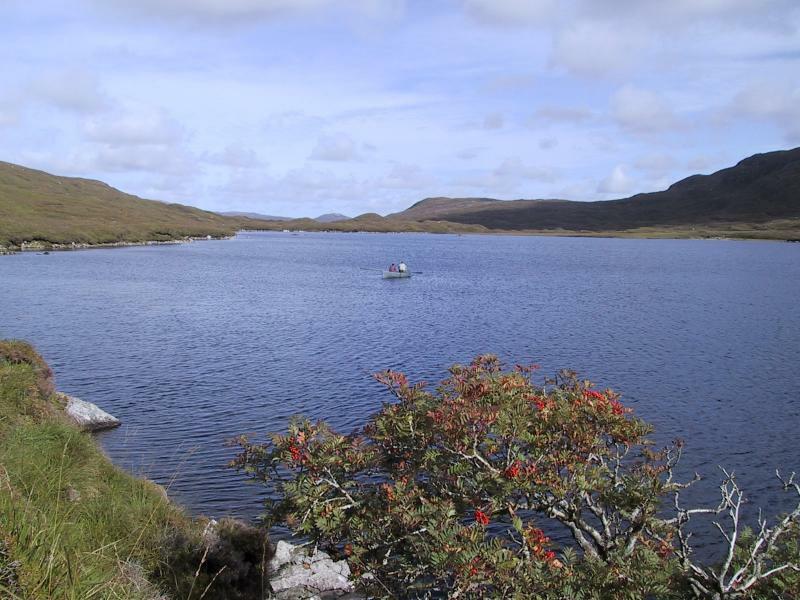 Back in 1961 when W. A. Adamson's book "Lake and Loch Fishing for Salmon and Sea Trout" was published the author commented briefly on the fishings on Lewis but added "Unfortunately the visitor to the island is not likely to get the opportunity of enjoying extensive salmon fishing as most of the waters are preserved." 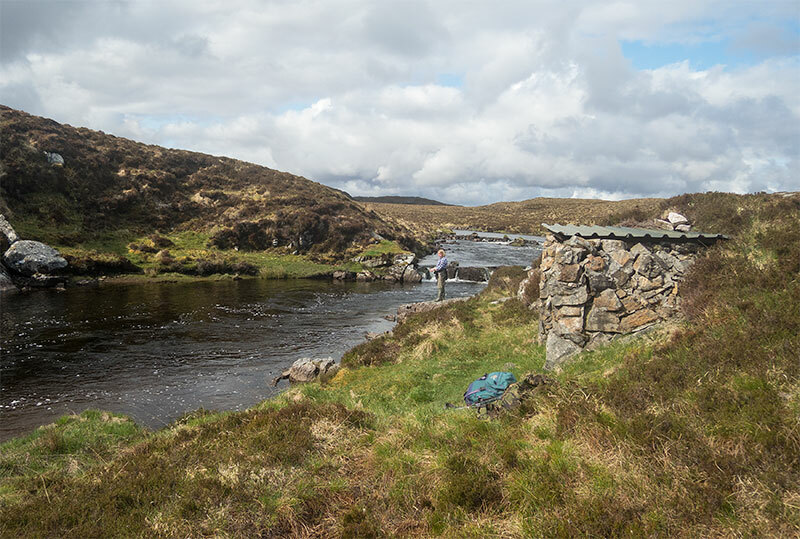 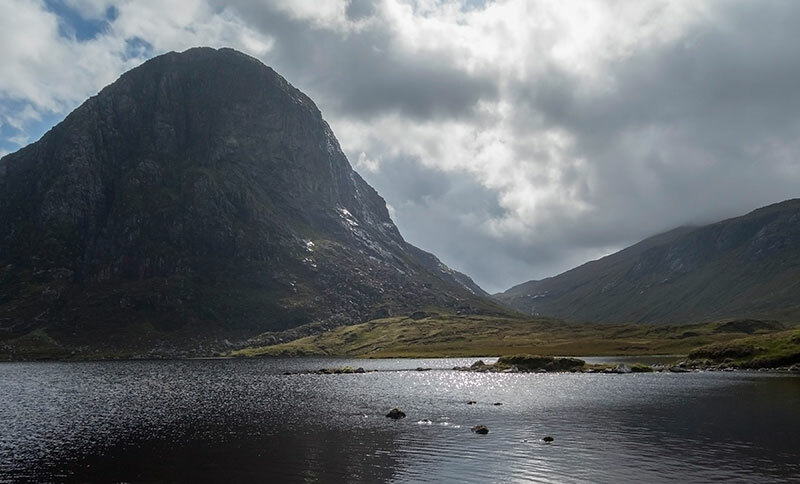 More recently Hugh Falkus wrote about the salmon fishing on a most remarkable Lewis water but had to confess that his information was second hand as he'd never had the opportunity of fishing there himself. 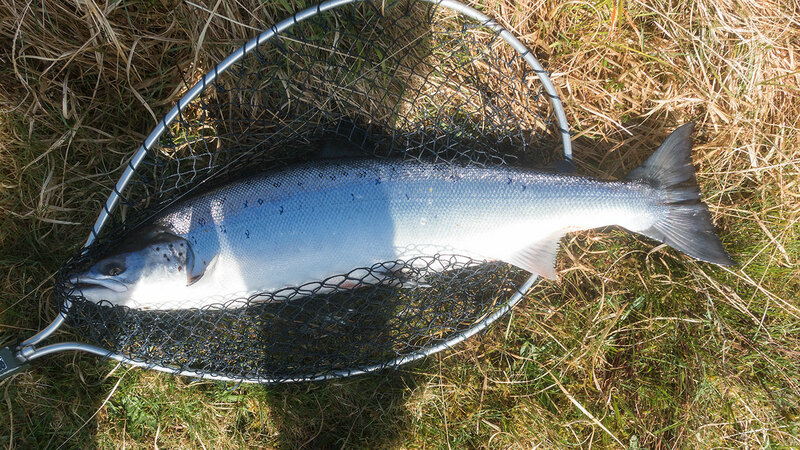 Today everything has changed and the visiting angler has the choice of perhaps 30 - 40 salmon or sea trout waters and the problem isn't getting fishing but rather deciding where to fish next. 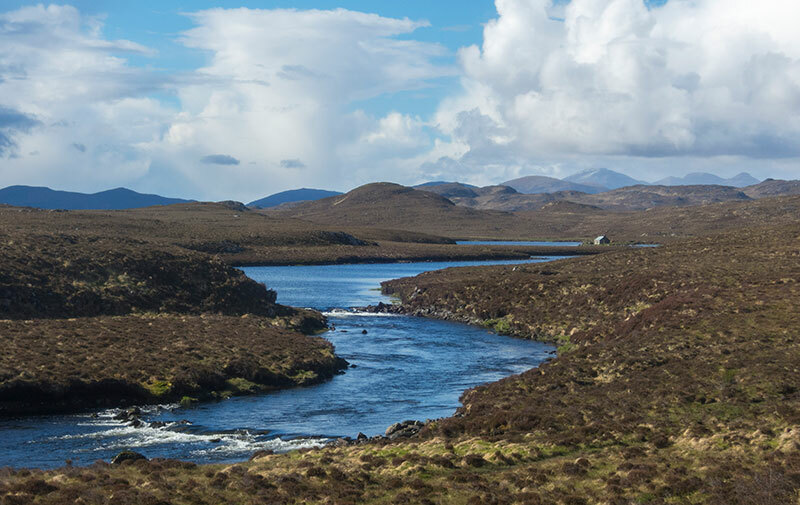 Clearly when you are fishing some of the most desirable and exclusive water in the world there can be a cost involved with salmon fishing on the island ranging from free to about £260 per day. 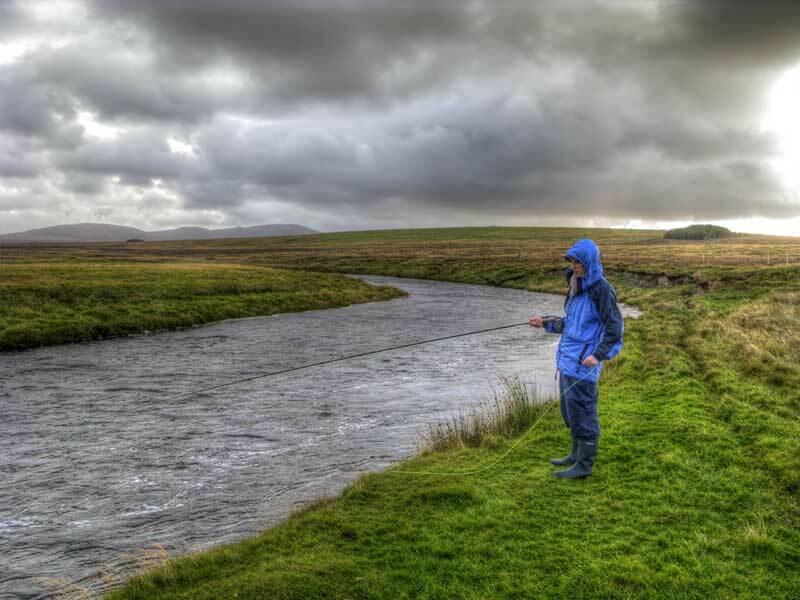 It is important to highlight, however, that there is a lot of good salmon fishing available at very reasonable cost and the angler willing to spend £10 - £25 for a day will have access to a great range of varied fishing including rivers and lochs. 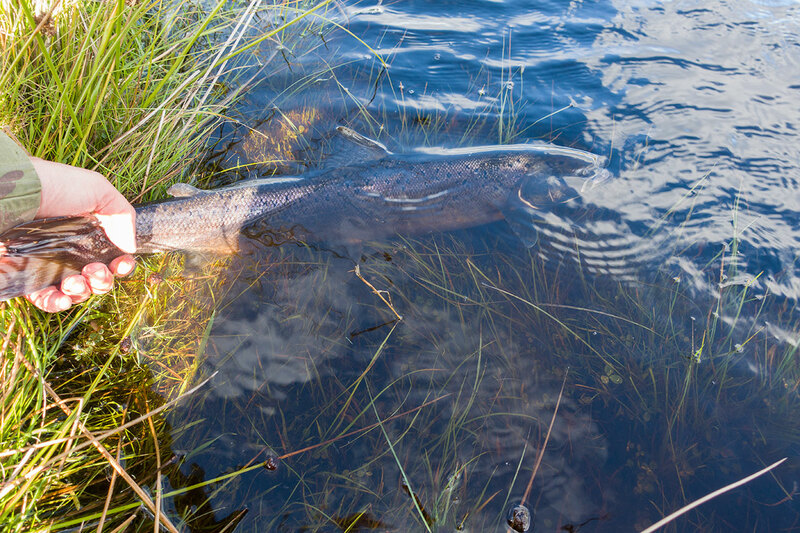 Fishing pressure tends to be low and even on association waters such as the River Creed the angler can have a day out without bumping into more than one or two other anglers. 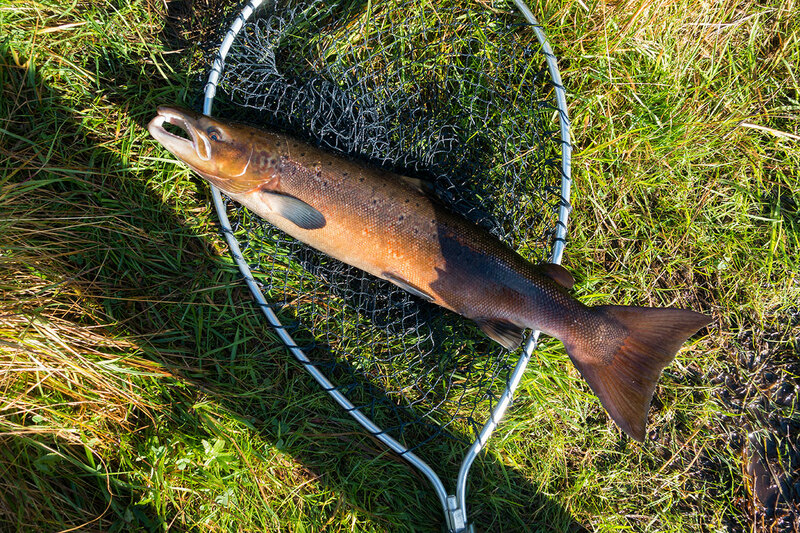 I usually fish the Creed just to round off my season and in 2018 I fished for a half day on my last day of the season for one fish and in 2017 I fished for one and a half days to finish my season and lost 4 fish with 2 landed, our association waters are certainly neither low quality nor crowded when you consider that this was October fishing on a summer river. 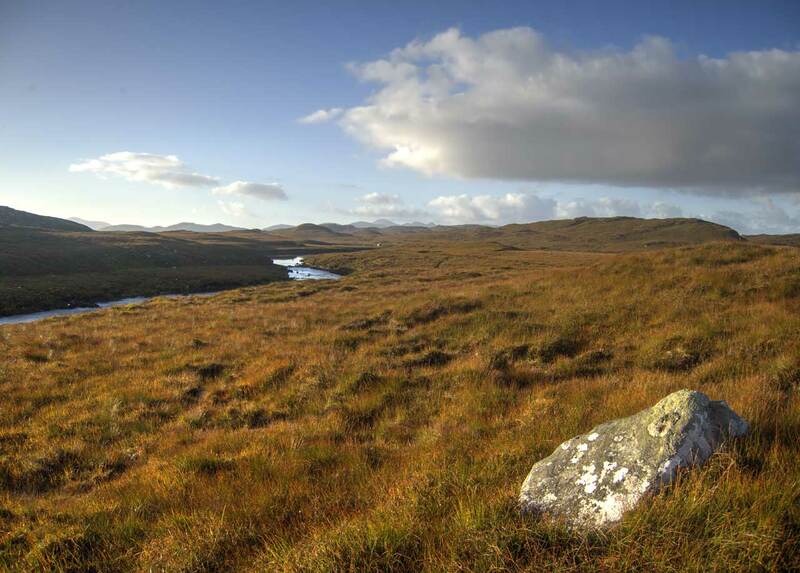 Arthur Oglesby, in his book on salmon and sea trout fishing, said "only now, after nigh on ten years of visiting the Hebrides, am I getting some feeling for where to be and when." 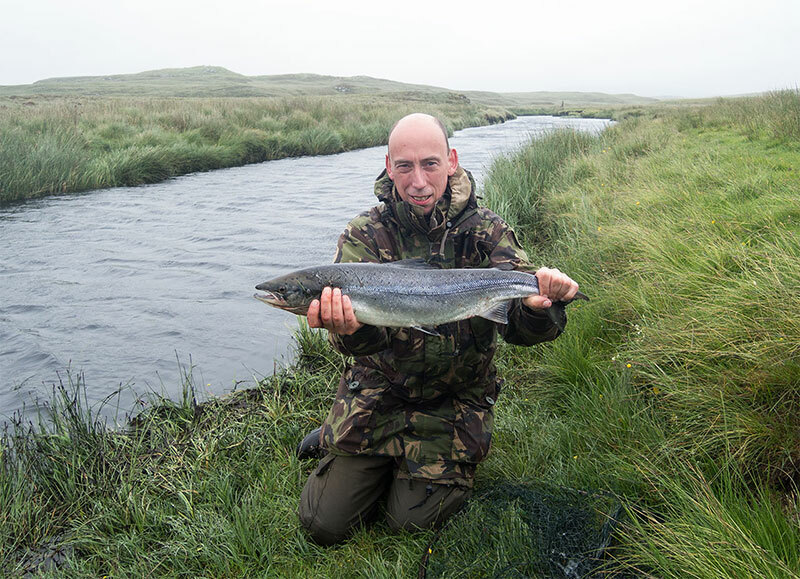 With salmon fishing being in the right place, at the right time, can be critical and for the visitor local knowledge is the key. 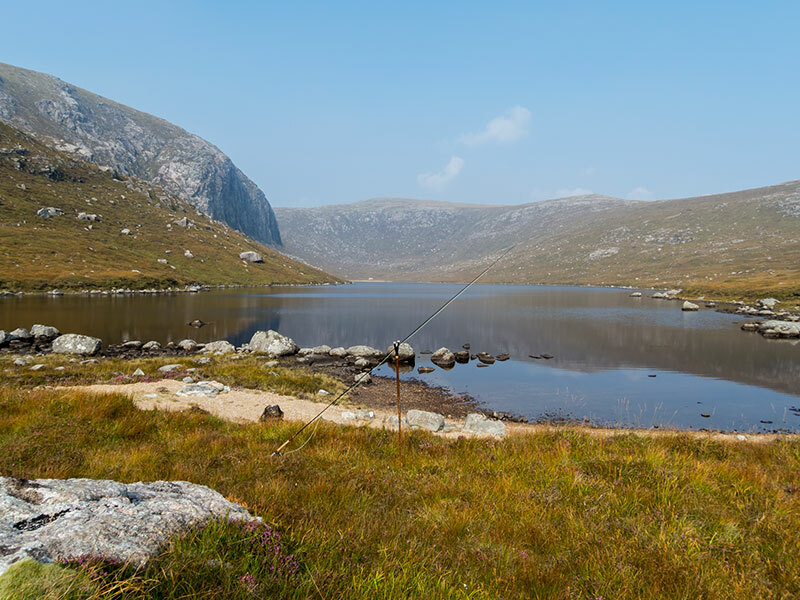 What it is not possible to do is make any general statement on this page as to where the visitor should fish as anglers have personal preferences plus the weather and runs of fish have a big impact on where you might chose to go on any given day, never mind making predictions months in advance. 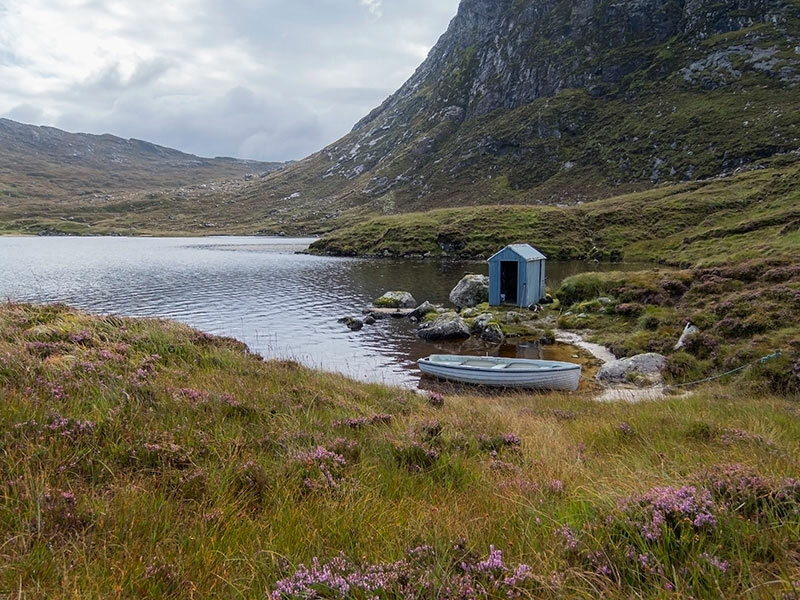 With this in mind cottage visitors are advised to let Dollanna know in advance that they are coming to fish and she can then make some general suggestions with a view to refining these general suggestions, over time, allowing the visitor to make educated choices based upon local knowledge. 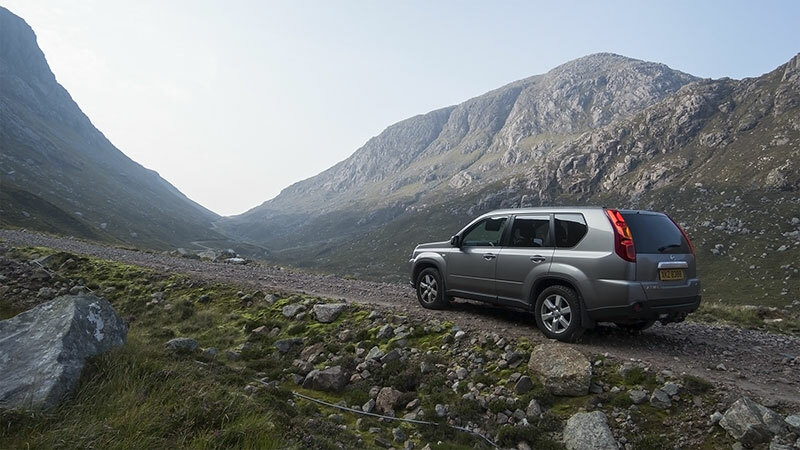 Having so many options means you have a lot of flexibility with, if you wish, no need to make a decision until you are getting into the car in the morning. 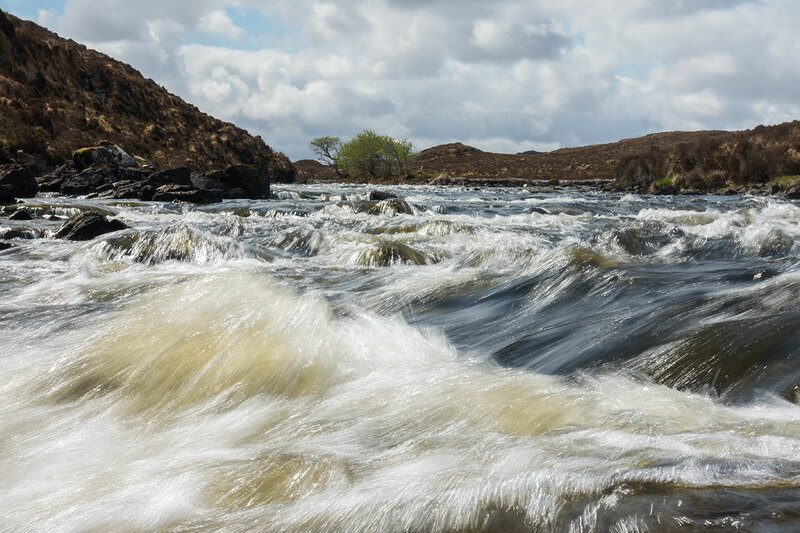 Every salmon angler will know that no one can promise that you will catch a fish: I've had days on arguably the best water in the world with perfect flows and ideal weather and caught nothing. 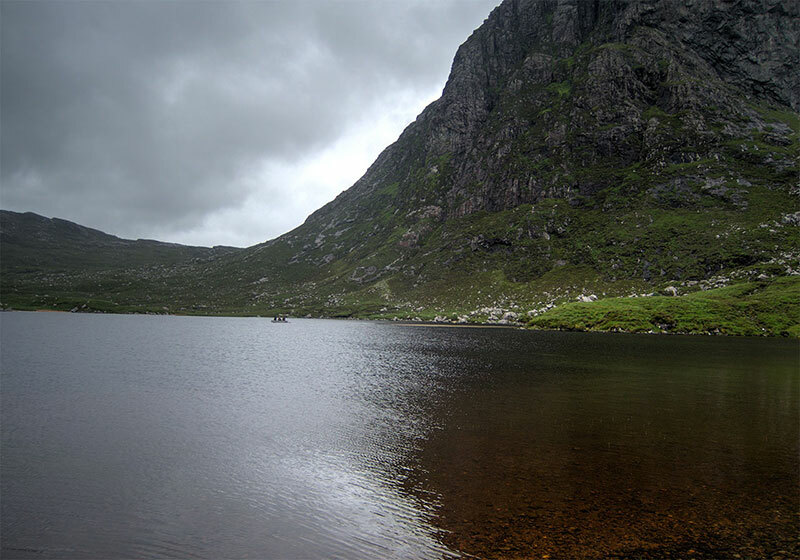 However, what Lewis can offer the angler is a reasonable chance of a fish in almost any conditions as fishing is available in salt water, tidal saltings, rivers, and lochs. 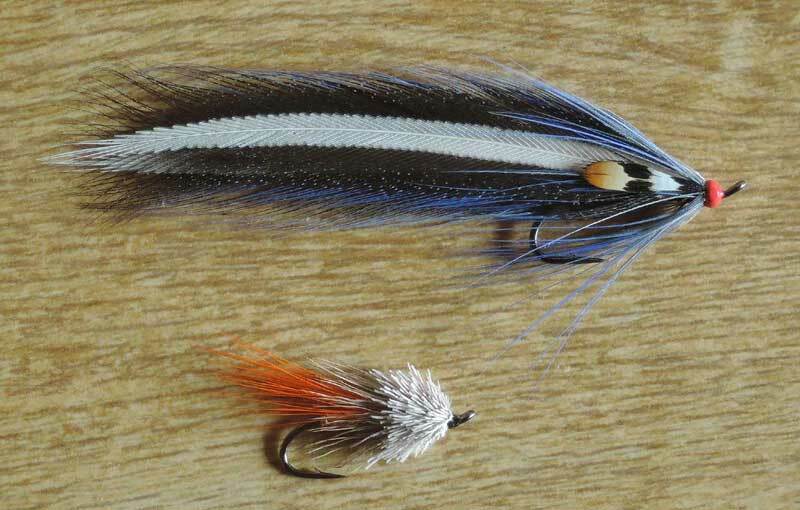 Although we can't promise fish Lewis does have the potential for some "big days" and a few years back I was in the local fishing tackle shop and bumped into two random visiting anglers, none of us knew each other previously. 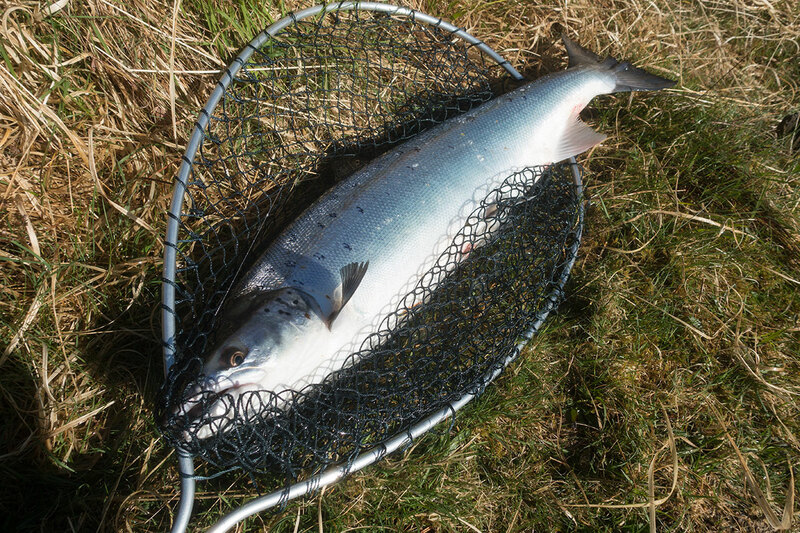 Between the three of us, once we got talking, we had caught 20 salmon on the previous day. 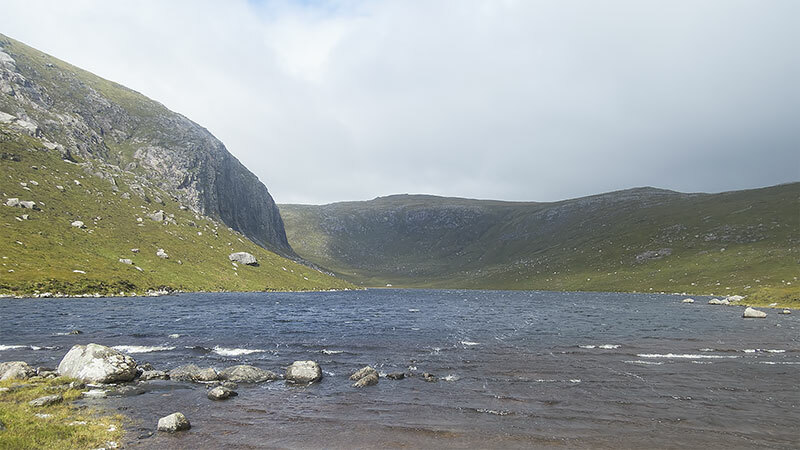 I can't possibly pretend this is an every day occurence but Lewis has the potential for days like this in the most spectacular of surroundings and it is probably best to simply let the photos on this page do the talking. 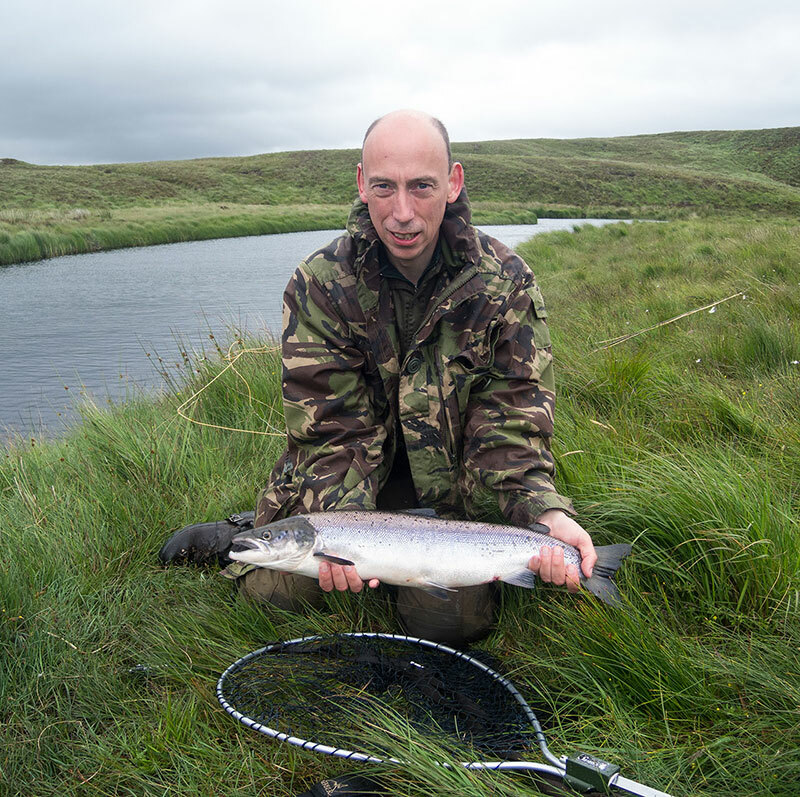 The visitor looking to book fishing in advance or who requires a ghillie is advised to contact Russell Hird. 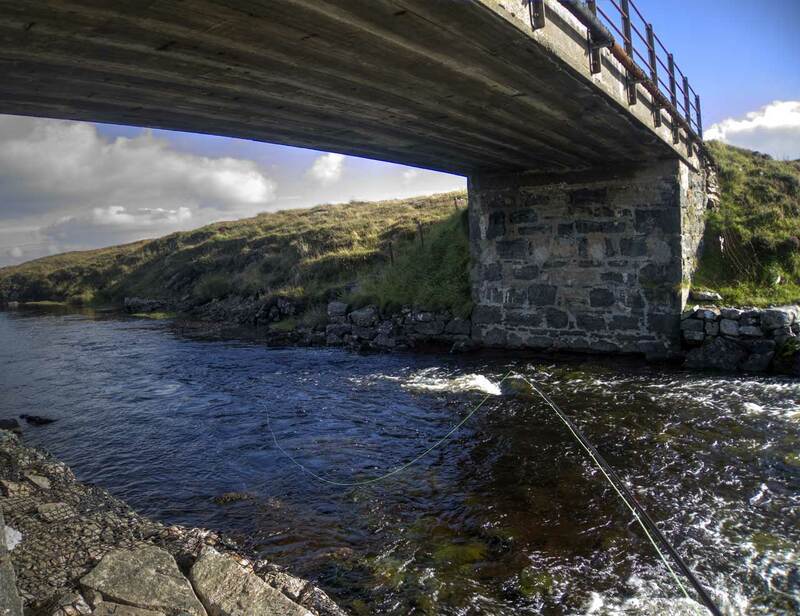 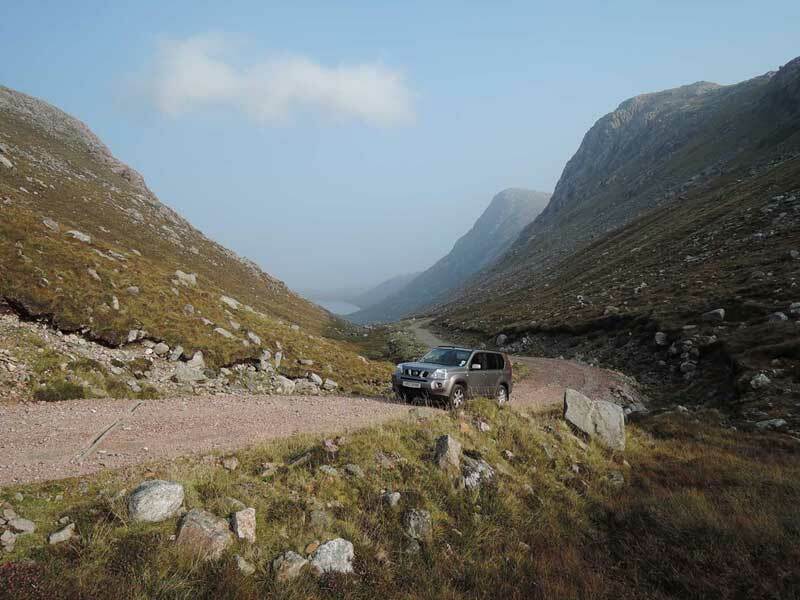 Russell can arrange some excellent salmon fishing in some remarkable surroundings. 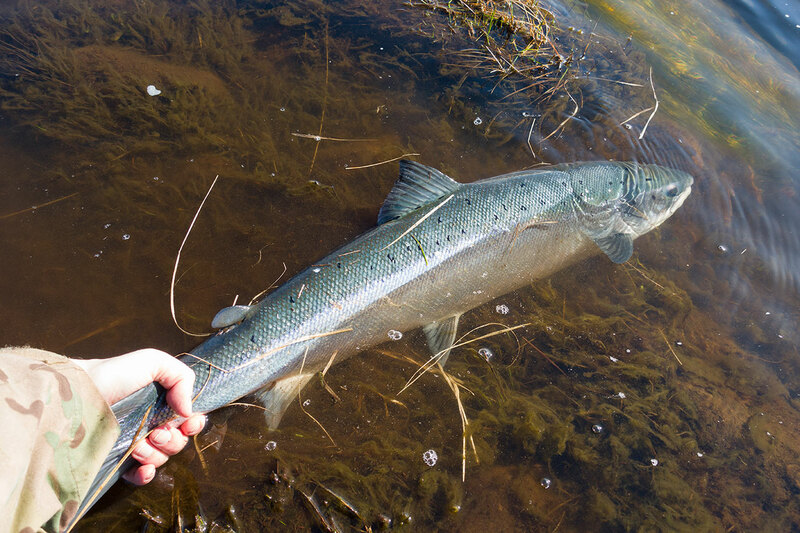 Grimersta - hold the record for the most salmon caught by a single rod in a day. 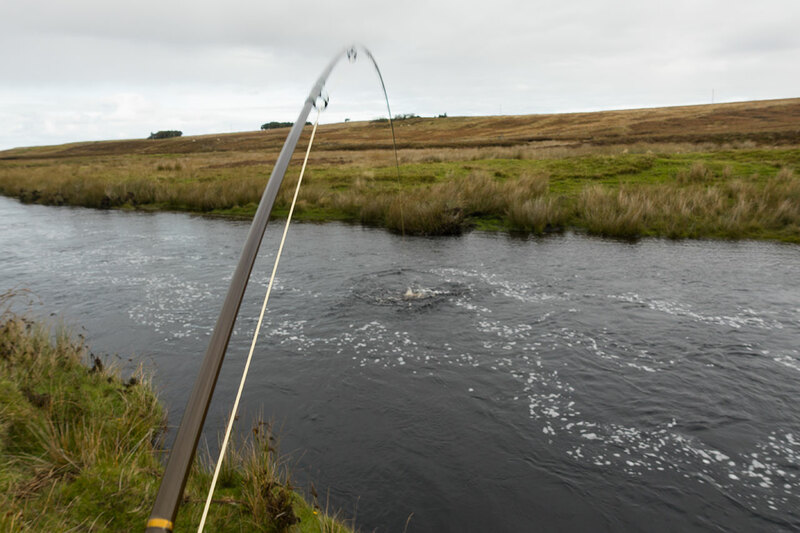 Above: an early season salmon - we fish trout rods for our salmon in the Hebrides so this fish of around 10lb provided fantastic sport on my 7 weight trout rod! 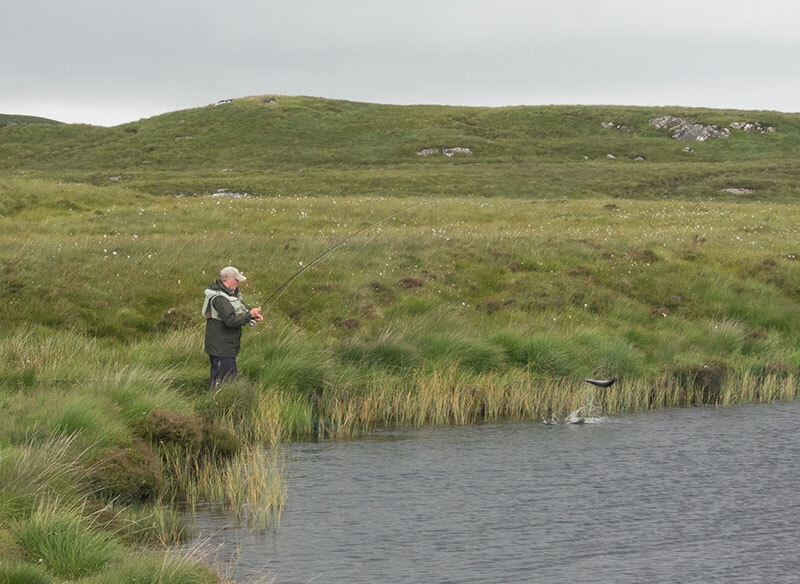 Below: Spring salmon fishing on the Isle of Lewis - spring salmon are not caught in big numbers but as can be seen it can make for a wonderful, and very exciting day out. 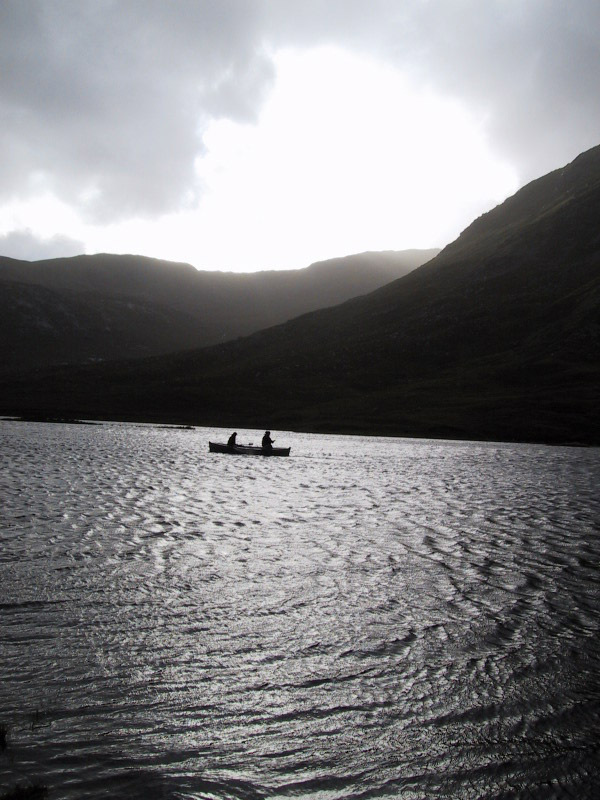 Below: Late season salmon fishing close to Dollag's Cottage. 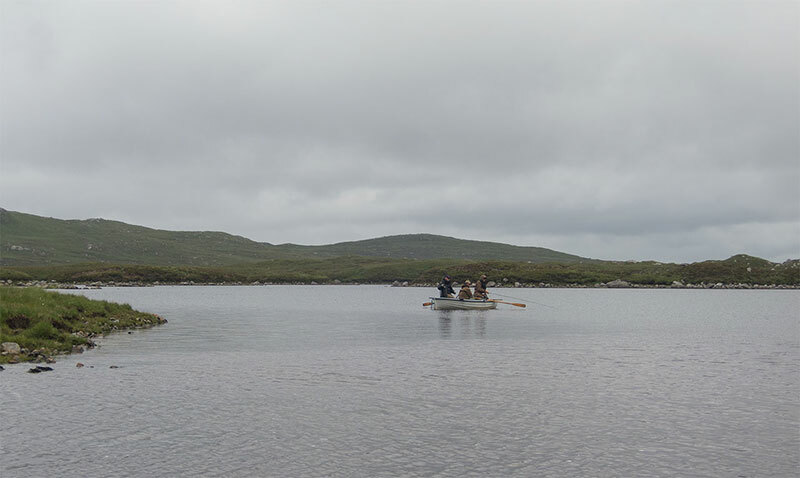 Below: Out on a river close to Dollag's Cottage. 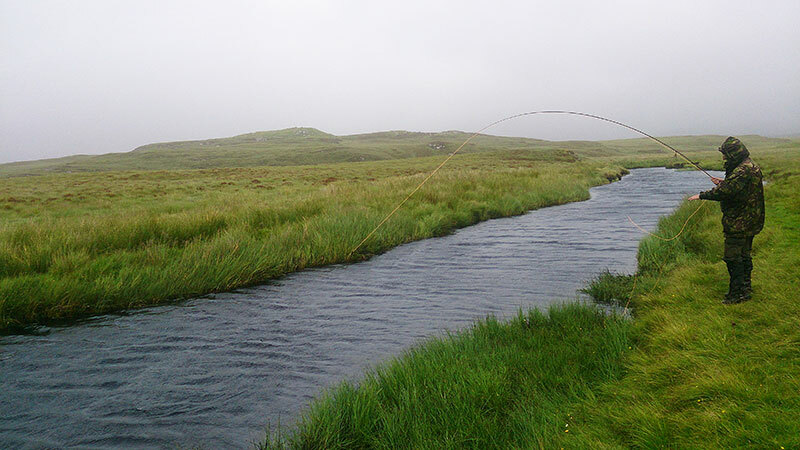 Below: Fighting a salmon on the Isle of Lewis, just a few minutes drive from the cottage. 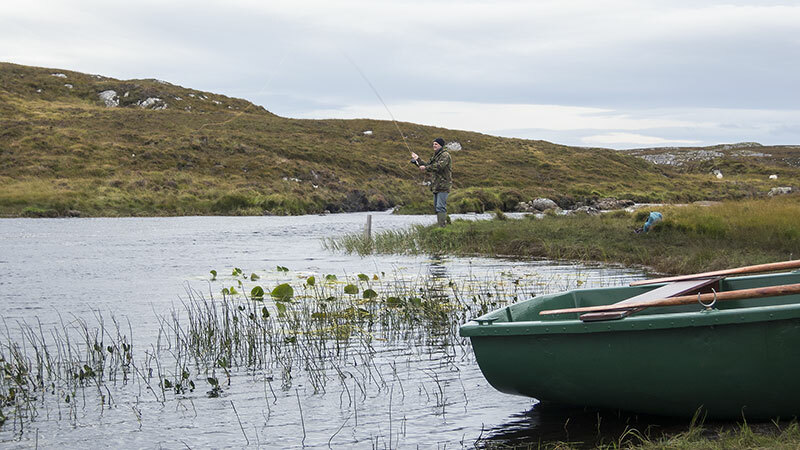 Below: Preparing to fish on a very remote salmon and sea trout loch that is said to be haunted by a "water horse"
Below: The dramatic locations that come with Hebridean salmon and sea trout fishing are as much part of the experience as the actual fishing but you can be sure of one thing: when staying in Dollag's Cottage you'll not be standing under a motorway bridge doing your fishing!